Whether you are already a landscape professional, just beginning your education, or simply learning for personal enjoyment, this course will give you the knowledge you need to become a better gardener. You will receive a thorough introduction to the science and practice of organic horticulture, facilitating a profound shift in ecological awareness. 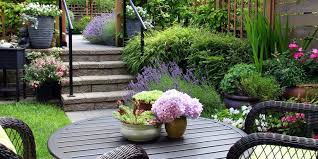 Going way beyond the idea of pesticide and fertilizer product substitution, you will understand the concepts of landscape health management as opposed to pest management, building a holistic decision making framework for creating and maintaining vibrantly healthy gardens and landscapes, including turf. For landscapers, a certificate in organic horticulture will appeal to many customers. Organic gardening practices are becoming a customer priority. Provide the latest, cutting-edge, organic-based services to your customers with the knowledge you gain in this program. After a decade of maintenance work in the horticulture industry, I started to wonder if there were better ways to deal with landscape problems. I realized I was treating the symptoms, not the causes, of the sick landscapes I was supposed to be caring for – that the conventional approach was not working. I began to explore organic principles and realized that the key to landscape health was working with nature, not warring against it. Time for an awakening! In partnership with the Burnaby School District and Gaia College, I instruct the Organic Master Gardener and Organic Horticulture Specialist programs. I also instruct the Plant Identification course and guest lecture in the Ecological Landscape Design program. These courses are designed for professional and home gardeners to learn how to manage the landscape in an environmentally friendly way. I also teach the Residential Landscape Technician program – for 20 years! It is an entry-level program to landscapers, many of whom have started their own businesses. I work with the BC Landscape and Nursery Association, instructing the Horticulture Basics program, preparing and presenting entry-level information to new landscape employees across the province. Burnaby School District’s Community & Continuing Education Services have been approved by the Industry Training Authority as a Training Provider for the Landscape Horticulturist Apprenticeship, so I coordinate the instructors and learning material in this program. Graduates of this program become trade certified in Landscape Horticulture, a Red Seal program. I just wanted to drop you a note to say how much I enjoyed your class. It was a real eye opener for me and has given me a new appreciation of why organic practices are the only way. Thank you for sharing your knowledge and making the class and outings such an enjoyable experience. I’m so excited to apply the information that you taught us in my own yard!